In the South, cornmeal-battered and fried or cooked in a gumbo are how many people enjoy okra. But its African origins, and use in Caribbean and Mediterranean cuisines make it a versatile pod. Chef William Dissen, owner of The Market Place restaurant in Asheville, uses okra in a multitude of dishes. His favorite preparation comes from his wife, Jenny. 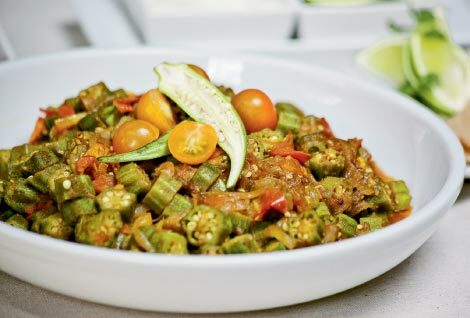 Originally from Ahmedabad, India, she introduced him to a classic dish, bhindi masala.